Problems with the safety equipment on the boat including life jackets. When do Boating Accidents Occur? The majority of boating accidents occur when the boat is cruising. In 2015, 2,412 vessels were involved in accidents while the vessel was cruising. Boating accidents are also more likely to occur during the summer months (when the temperature outside is 70-79 degrees). Accidents are most likely to occur during the mid to late afternoon on the weekend. Boating accidents occur most frequently when the water is calm and there is light wind. What Bodies of Water can Boating Accidents occur on? What Types of Vehicles can be involved in a Boating Accident? Who can be a Victim of a Boating Accident? There are a few different groups of people that could be injured during a boating accident. First, people who are passengers on the boat can be injured. This category includes the driver of the boat. Other people who are in the water such as persons that are swimming in the lake or ocean can also be injured a result of a boating accident. People operating other boats can be injured if two boats collide with each other. People operating jet skis can also be injured. Next, bystanders can be injured. This category includes people who are on the land when the boat causes an accident. Often the driver of the boat will be responsible for the boating accident. However, the responsible party varies depending on what type of boating accident occurred. What Types of Injuries are Common in Boating Accidents? There are many different types of injuries that can in the aftermath of a boating accident. Death can occur due to a boating accident. Unfortunately, there are a number of different ways someone could lose their life as a result of a boating accident. Often, victims of boating accidents drown when they are thrown in the water. People involved in boating accidents can also suffer life-ending injuries because of a boating accident. Death can also occur as a result of trauma, cardiac arrest, carbon monoxide, and hypothermia. It is important to remember that death due to a boating accident can often be prevented through the use of a life jacket. You should always wear a life jacket when you are on a boat. This choice could ultimately save your life if a boating accident occurs. Injuries from contact with the boat propellers. What Damages can Victims of Boating Accidents Recover? 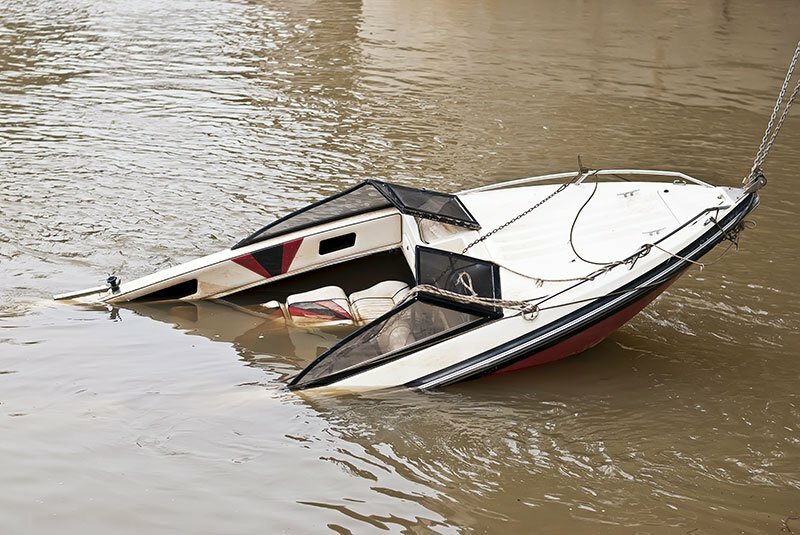 The types of damages that can be recovered after a boating accident vary drastically depending on what type of accident occurred. If the case is a wrongful death case, the victim’s family may be able to obtain damages for loss of consortium, emotional distress, and burial costs. Victims of boating accidents can often recover for medical expenses including bills from doctors, and the cost of medication. The victim of a boating accident can also recover damages for pain and suffering as well as mental anguish. If the boating accident involved property damages the party that was not responsible for the accident can recover from the damage that was done to the property. Victims of boating accidents could potentially suffer a life-altering injury. 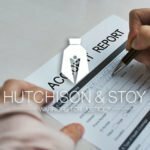 Due to this possibility, plaintiffs in a personal injury case can recover for loss of enjoyment of life when an injury prevents the plaintiff from enjoying the same lifestyle that the plaintiff enjoyed before a boating accident. Plaintiffs can recover for lost wages and lost earning potential. After a boating accident, you should ensure that your medical needs are addressed. You should visit the hospital if you are in emergency need of medical attention. You should also consider visiting other medical professionals (like a chiropractor) if need be. Make sure that you exchange information with everyone that was involved in the boating accident. If the other party is not being responsive to your inquiry to exchange information you may need to get the police involved. If you or a loved one has been injured in a boating accident, it is important that you know what your rights are. You should consider speaking to an attorney in order to determine if you can bring a personal injury suit to recover for the damages that resulted from a boating accident. What Causes of Action can a Victim of a Boating Accident bring against Responsible Parties? Negligence – Many lawsuits that involve boating accidents are brought under a theory of negligence. People operating boats have a duty to act as a reasonably prudent boat drive would under same or similar circumstances. If they breach this duty, they could be liable under a negligence cause of action. Examples of negligence in boating cases include driving while intoxicated, failure to keep a proper lookout, operating a boat without the proper license or experience, overloading a boat, failure to use navigation lights when operating a boat at night, and speeding. An owner of a boat could also be negligent if they failed to maintain required safety equipment on the boat if law requires that equipment. Products Liability– A victim of a boating accident may be able to bring a lawsuit against the manufacturer of the boat if some part of the boat was defective. This could include defective breaks. Wrongful Death – The survivors of an individual who lost their life due to a boating injury may be able to bring a lawsuit against the responsible party. How Can a Lawyer Help a Boating Accident Victim? One of the most important things that an attorney can do is assist the client in recreating the accident to determine who is responsible for the client’s injury. This occurs when the lawyer begins investigating the client’s case. This can include looking into the other parties boating history in order to determine whether the party had the appropriate credentials to operate a boat. The lawyer can also interview the witnesses in order to get a better idea of what actually happened the day that the boating accident occurred. The lawyer can also visit the scene of the accident or look at photographs of the accident. Boating accidents are often traumatic experiences. This means that there is a huge possibility that the victim of a boating accident will suffer emotionally as a result of the accident. Emotional damages are often hard to prove. An attorney can assist a plaintiff in a personal injury case in proving that the plaintiff is entitled to emotional damages. 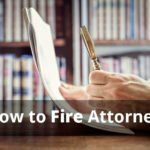 The lawyer can help connect the plaintiff with expert witnesses and organize medical records in order to put forth a good argument in court. A lawyer can also help by researching the law in order to determine what case law supports your position, and put forth that argument in court. Overall, it may be important for you to obtain a lawyer if you have been in a boating accident because the lawyer can assist you in all aspects of your case. 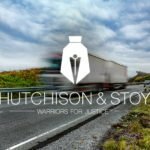 The lawyers at Hutchinson & Stoy fight for their clients from the initial client meeting through the court case. If you have been in a boating accident, consider meeting with a lawyer for a free consultation to talk about the possibility of filing a personal injury lawsuit against the parties that are responsible for your injuries.